MIAMI (AFP) - Residue on pottery from an archeological site has revealed the earliest evidence of beer brewing in China left from a 5,000-year-old recipe, researchers said Monday. The artifacts show that people of the era had already mastered an “advanced beer brewing technique” that contained elements from the East and West, according to a study in the Proceedings of the National Academy of Sciences, a peer-reviewed U.S. journal. Yellowish residue gleaned from pottery funnels and wide-mouthed pots show traces of ingredients that had been fermented together -- broomcorn millet, barley, a chewy grain known as Job's tears, and tubers. “The discovery of barley is a surprise,” lead author Jiajing Wang of Stanford University told Agence France-Presse, saying it is the earliest known sign of barley in archeological materials from China. The discovery indicates that barley made its way to China some 1,000 years earlier than previously believed. Barley “may have been used as a beer-making ingredient long before it became an agricultural staple,” the study said. The archaeological site at Mijiaya, near a tributary of the Wei River in northern China, includes two pits dating to around 3,400-2,900 B.C. It contains artifacts that point to beer brewing, filtration and underground storage, as well as stoves that may have been used to heat and mash grains. However, it is impossible to know exactly how the beer tasted, researchers said, because they do not know the ingredients’ exact proportion. “My guess is that the beer might have tasted a bit sour and a bit sweet,” Wang said. Evidence of beer brewing has been found around the same time period in Iran and Egypt, experts say. 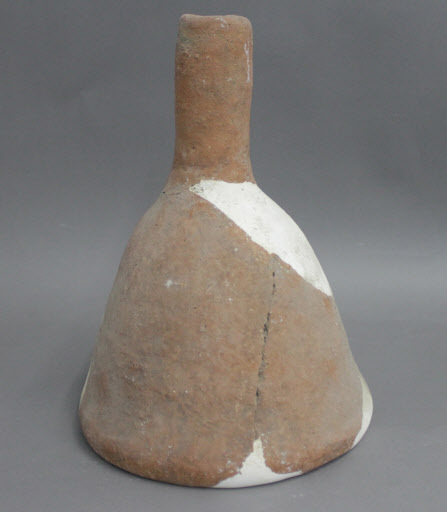 “The introduction of Middle Eastern barley into a Chinese drink fits with the special role of fermented beverages in social interactions and as an exotic ingredient which would appeal to emerging elite individuals,” said Patrick McGovern, an expert on biomolecular archeology at the University of Pennsylvania Museum of Archeology and Anthropology. They knew to use heat to break down carbohydrates, and the underground location of the brew site “is very significant,” he added. “A cool spot is important in controlling heat, which if it gets too high can destroy the enzymes responsible for the carbohydrate to sugar conversion,” he said. Lower temperatures would also have been important for keeping the beverage cool in storage. Modern beer-makers such as Dogfish Head Brewery have tried to recreate some drinks from the past, and McGovern suggested offerings for any who might like to experience a flavor similar to the 5,000-year-old brew concocted in northern China.